Shouldn’t Someone Tell Ted Cruz That Wisconsin Republicans Weren’t Really Voting for Him? Wisconsin primary voters may have voted for the Texan, but they were thinking about Paul Ryan. Cruz has always had a likability problem. Indeed, former Senate majority leader Dob Dole explained in January that “Nobody likes him.” But he is now telling himself that Wisconsin Republicans recognized his greatness. As he bumbled toward the New York primary fight, where polls have him running third, Cruz described his Wisconsin Republican primary success as “a turning point,” Cruz told supporters. Cruz is right that Wisconsin Republican primary voters did call for a choice other than GOP front-runner Donald Trump. Unfortunately for Cruz, the call was not for his candidacy. The call was for Paul Ryan. Yes, yes, Cruz is the candidate who is actually campaigning for the nomination. Yes, yes, Cruz did win Tuesday’s Wisconsin primary—securing 48 percent of the vote, as compared with 35 percent for Trump. But Cruz did not run in Wisconsin as the heroic outsider he imagines himself to be. He did not even run as Ted Cruz. In Wisconsin, the Texan was simply the candidate who filled the empty suit proffered by the #NeverTrump movement that has been organized by the new establishment of the Republican Party in the state. This new establishment, developed over the past six years with massive infusions of out-of-state money from the Koch brothers and other national donors, was never enthusiastic about Trump—not just because the New Yorker’s style is a bad fit for Wisconsin but because his prospects as a November contender in the state appear to be so dismal that he threatens down-ballot Republican contenders. When he grudgingly endorsed Cruz last month, South Carolina Senator Lindsey Graham referred to the Texan as “my 15th choice.” That was pretty much the sentiment of Wisconsin Republicans who had expected to be backing Governor Scott Walker’s bid for the Republican nomination in their April 5 primary. Walker’s candidacy crashed and burned. He was the first real victim of the Trump intervention in Republican politics. After Walker stumbled, many of his Wisconsin backers endorsed Florida Senator Marco Rubio, who might actually have run well in the state, as he did in neighboring Minnesota’s caucuses. But then “Little Marco” was crushed by the Trump tempest. In the turmoil that followed, the establishment had a problem. Wisconsin’s new political and media elites were not going to back Trump, but whom would they support? It was then that conservative talk-radio hosts in the Milwaukee area, who played a critical role in promoting Walker’s rise, started talking up Cruz. Legislators who had backed Rubio joined the Cruz conversation. And, despite his past protestations that the nominee should be a governor or former governor (and despite indications that he really would have preferred to back Ohio Governor John Kasich), Walker followed the lead of the establishment that had been built around him. Cruz won Wisconsin, but a third of Wisconsin Republicans refused to say they would vote for him in November. Cruz’s Wisconsin win was based on overwhelming support in the Milwaukee suburbs—where conservative talk radio talked him up—but the Texan never really gained statewide traction. Most Wisconsin Republicans actually voted for someone other than Cruz. And Trump swept the western and northern counties that provide the critical swing votes in November elections. So what was this Cruz thing all about? Wisconsin’s new Republican establishment is self-perpetuating. It seeks, constantly, to expand its reach and influence in a state that often backs the party in off-year elections but has not awarded its electoral votes to a Republican presidential contender since 1984. Walker’s three wins in gubernatorial elections were a big deal. But Walker has been a bit more respected than loved by the establishment. The favorite of the political and media elites has always been House Speaker Paul Ryan, the Janesville Republican who, though he is a 46-year-old political careerist who failed to tip the state into the Republican column when he was the GOP’s 2012 vice-presidential nominee, remains the party’s golden boy. Anyone who thinks that Wisconsin Republicans voted for Cruz as something other than a #NeverTrump gambit knows very little about what matters to Wisconsin conservatives and Wisconsin Republicans. Wisconsin Republicans like to win. And though he was a Wisconsin winner on Tuesday, Cruz does not have the look of a Wisconsin winner in November. According to the most recent Marquette Law School Poll, he gets only 39 percent of the vote against Bernie Sanders and only 44 percent against Hillary Clinton. 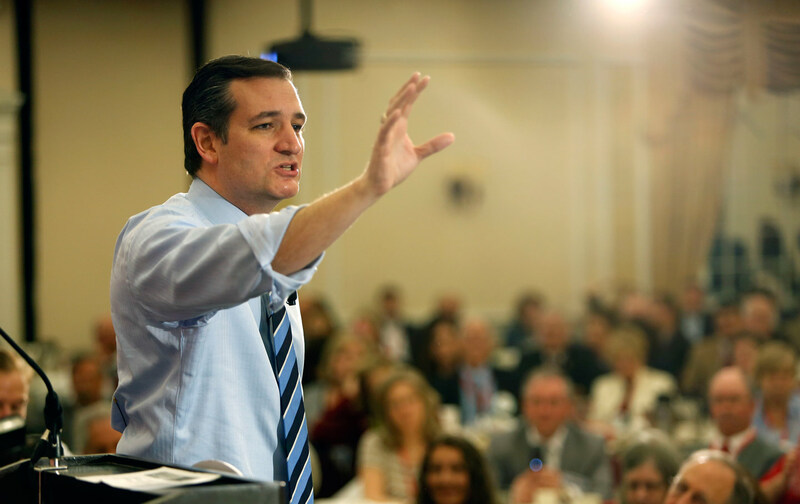 Cruz is simply not a prospect that excites Wisconsin Republicans. Indeed, while only 61 percent of Republican primary voters said they would support Trump in November, only 66 percent said they would back Cruz. The prospect that excites Wisconsin Republican voters—and that really excites Wisconsin Republican elites—is Paul Ryan. “Very consciously, a lot of people are hoping it’s Paul,” explained former Wisconsin Republican Congressman Scott Klug, who backed Kasich. Ryan says he is not interested in seeking the the nomination. Ryan also said he was not interested in the 2012 Republican vice-presidential nomination. Then he accepted the nomination. And Ryan said he was not interested in becoming speaker of the House. Then he became the speaker of the House. That’s how Paul Ryan rolls. Everyone in Wisconsin knows this. And it’s not just Wisconsinites who are pining for Ryan. As the Wisconsin primary approached, it was reported that billionaire Charles Koch was “confident House Speaker Paul Ryan could emerge from the Republican National Convention as the party’s nominee if Donald Trump comes up at least 100 delegates shy, he has told friends privately.” In fact, according to The Huffington Post, “Koch believes Ryan would be a “shoo-in” at a contested convention, should the campaign get to that point.” That’s no surprise: Ryan has always been a favorite of the Koch brothers. This does not mean that Ryan is making, or will make, formal moves to secure the nomination. If the opening does not occur, if the Republican convention nominates a Trump or a Cruz, Ryan will dutifully back that nominee. And the party will dutifully lose Wisconsin and the presidency. That’s an eventuality that the Wisconsin’s Republican establishment wants to avoid. And that’s why the establishment backed Cruz—the candidate they “can’t stand.” That establishment didn’t back Cruz to win. They backed Cruz to clear the way for Paul Ryan. Everyone knows that—except, perhaps, Ted Cruz.